While I normally just reach for a liquid or creamy cleanser to remove my makeup, sometimes there's just so much to remove that I need a little extra help from a facial wipe beforehand. 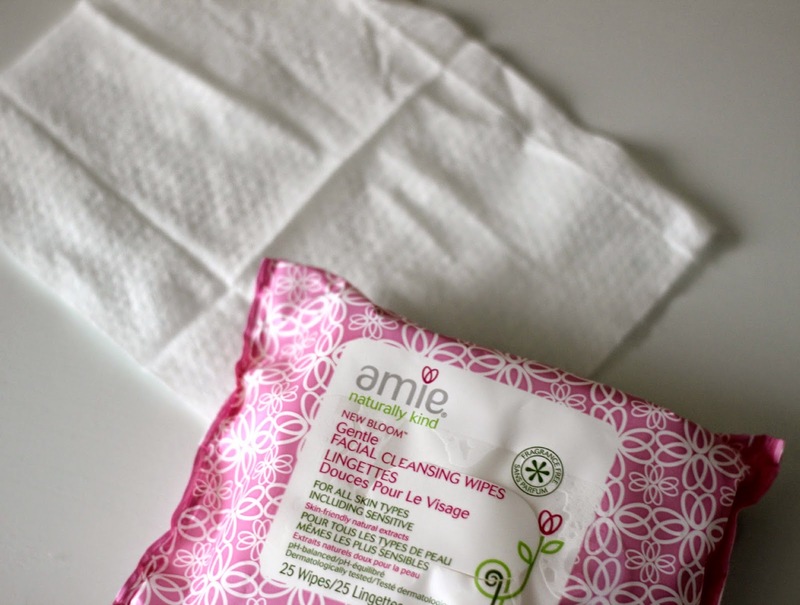 I've recently been using Amie's New Bloom Gentle Facial Cleansing Wipes*, and considering how much I love all of the products that I've tried so far from Amie (which you can read more about here and here), I have to say I had really high expectations with regard to these facial wipes. But do they deliver? Well yes, they absolutely do! Makeup removing wipes are often very irritating on my skin, and I think that is why I so rarely use them. 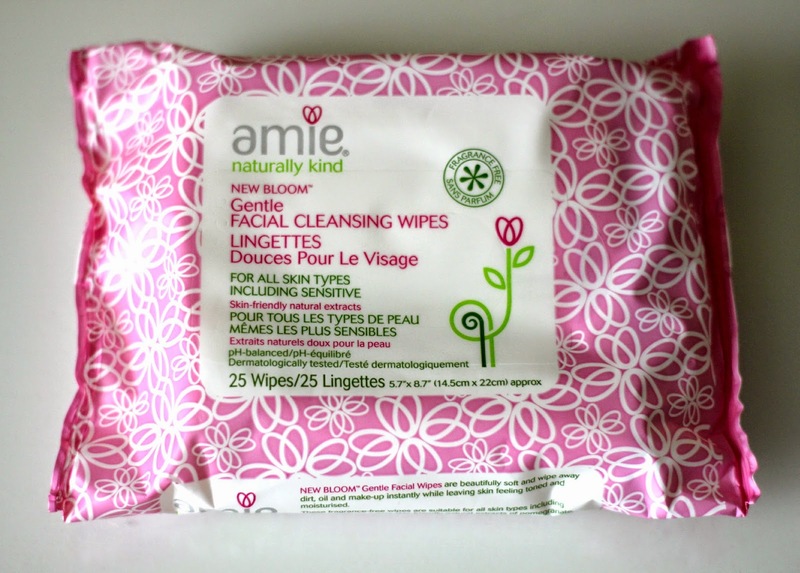 But I'm happy to report that Amie's New Bloom Facial Cleansing Wipes are super gentle and do not aggravate my sensitive skin. Like the rest of the line, these face wipes are free from the nasties, including parabens, mineral oils, pretrochemicals, fragrance, and are also 100% vegan. The wipes themselves are ultra soft, with natural ingredients acting to balance the skin's pH , similar to a toner. They also feel very moisturizing, unlike others that I've tried that make my skin feel dehydrated right after use. Key ingredients include green tea extract, aloe vera juice, pomegranate, and cranberry extracts. The wipes are large enough to get most of my makeup off (I always follow up with a second cleanser to make sure I removed everything). The pack includes 25 wipes, and has a resealable sticker (that really sticks unlike others I've tried) on top to keep the wipes nice and moist for future uses. I know these will be my go-to when travelling! Amie Skincare can be purchased at Shoppers Drug Mart in Canada. 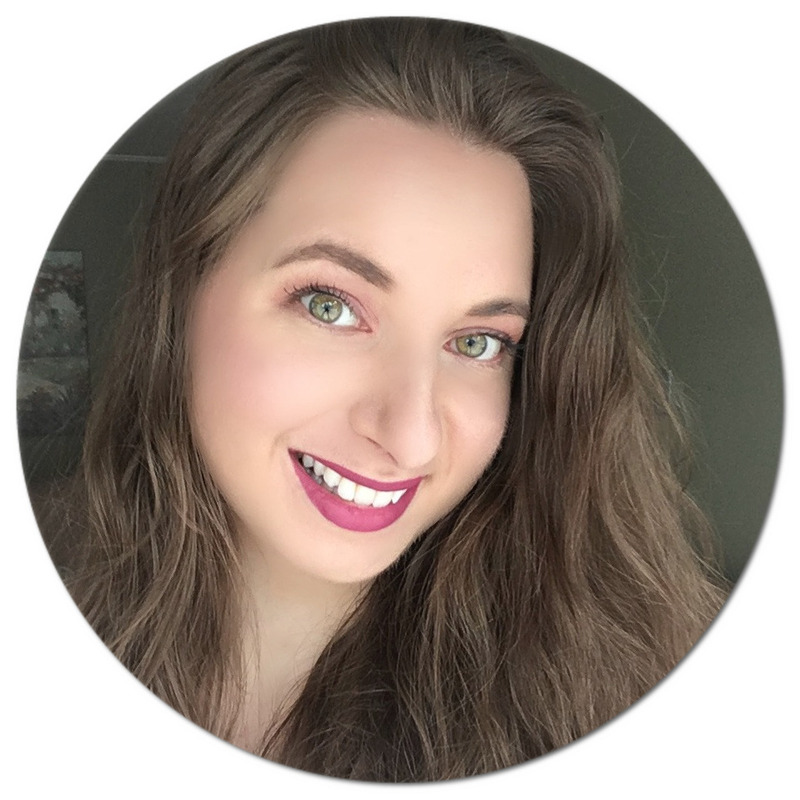 The range is affordably priced and is a great drugstore option for anyone looking for vegan-friendly, natural ingredients in their skincare products. Again, Amie has yet to disappoint me! How about you - do you like heading to the drugstore when it comes to skincare? If so, what brands do you gravitate toward? Disclaimer: Product was provided and reviewed in accordance with my Disclosure Policy.